The programme committee have reviewed and selected these events on the basis of their quality and timeliness. There will be over 160 UK and international speakers who will present on cutting-edge topics across twelve research themes across neuroscience. Please use the links below to browse programme content. Current BNA President Professor John Aggleton FRS has selected to highlight how neuroscience can meaningfully inform the way education is delivered. The speakers will outline ways in which our understanding of neuroscience can be applied to improving methods of education. The talks will include different components of a major project funded by the Wellcome Trust, The Education and Neuroscience Initiative, which seeks to test different ways of applying our knowledge of brain function to the classroom. You can attend the President's symposium by selecting it during the Festival registration process. Paul Howard-Jones is also giving a public lecture on this topic: see public programme. Posters can be submitted under this theme. We realise that the Festival provides a valuable opportunity for students and early-career researchers and clinicians. A host of features have therefore been tailored specifically with you in mind! A quick-fire poster talk session, where selected poster abstracts are presented via short, 3 minute talks, giving you the chance to raise awareness of their research and invite people to visit their posters. A ‘scientific speed-dating’ session where early-career scientists sign up in advance for a five minute conversation with an established, senior neuroscientist. This arrangement creates a relaxing forum in which questions and answers naturally bounce to and fro. A workshop for students and early-career researchers looking at alternatives to the academic research career pathway, e.g. working in the pharmaceutical industry, policy, education, acaedmic administration and beyond. Given the demand for scientific speed-dating at the previous Festival, we have added a second session to the 2017 programme. This second session will include more scientific speed-dating sessions should there need to be an overflow from the first session, as well as the chance for conversations about careers beyond academia – e.g. in industry or policy making – with people working in these areas. Three full poster sessions covering 12 themes and allowing for 750 poster presentations. All have a separate preview session to allow poster presenters to also see other posters in the same session, and for all delegates to select posters to return to and discuss with the presenting author in more detail. 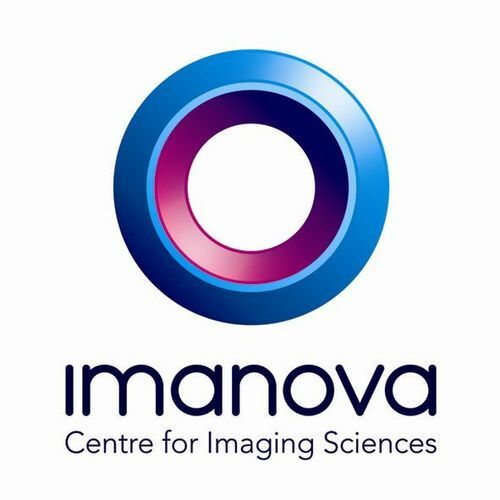 We are very grateful for the support from Imanova and the MRC in the early-career researcher and student events taking place at BNA2017. Poor code is often the weakest link in neuroscience. Do you write scripts as part of your work, and want to improve your code? If so, this seminar is for you. Unlike a "programming" course, we will focus on maximising productivity in a scientific setting. It is ideally suited for people who already have 2-3 years’ experience of writing code. The teaching will be language-agnostic but examples will be drawn from Matlab and Python. In the session we will discuss the factors that contribute to well-written programs, focusing on style, clarity, technique and robustness. As scientific programmers, you will discover how to move from writing a series of one-use scripts, to writing well-planned, transparent, re-usable code. Topics to be covered will include: Commenting, Formatting, Naming, Abstraction, Externalisation, Functions and Namespaces, Stack frames, Lambdas and Debugging. A sandwich lunch will be provided. Places are free, but will be allocated on a first-come first-serve basis. Please book by emailing sanjay.manohar@ndcn.ox.ac.uk with your name and institution. Funded by the Software Sustainablity Institute http://www.software.ac.uk. Tutor: Dr Sanjay Manohar is an MRC Clinician Scientist at the Nuffield Department of Clinical Neurosciences at the University of Oxford. He has taught Good Coding Practice courses at UCL and Oxford, and is a Fellow of the Software Sustainability Institute, an RCUK-funded body aiming to improve software in academia.